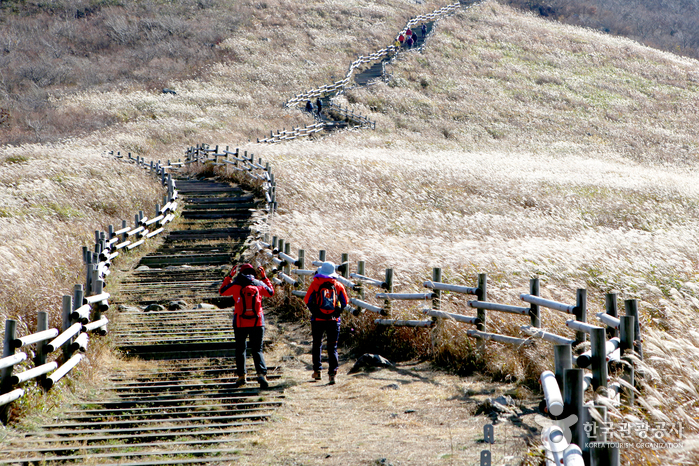 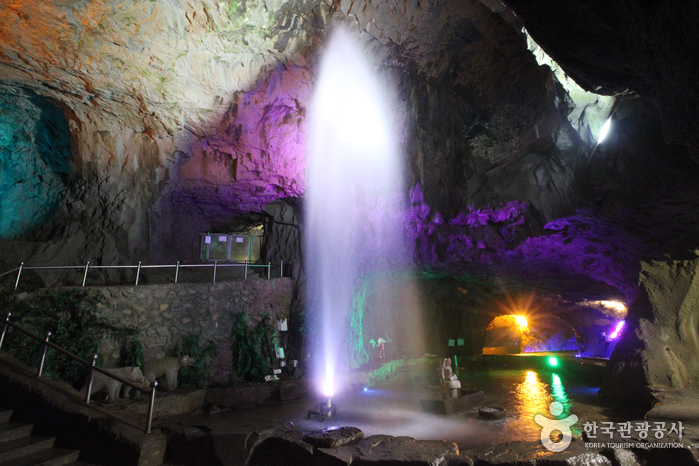 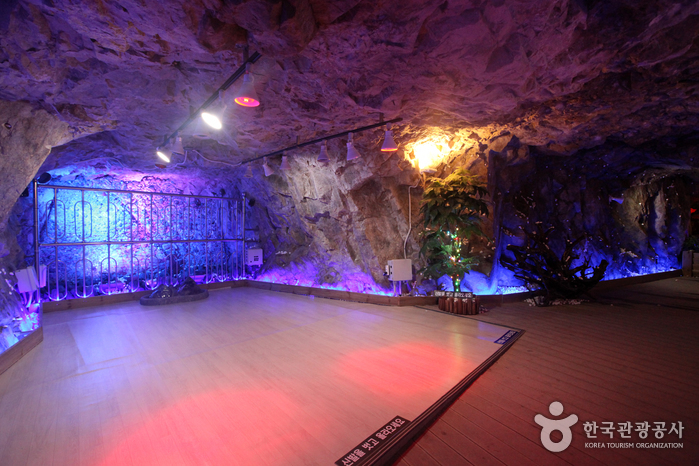 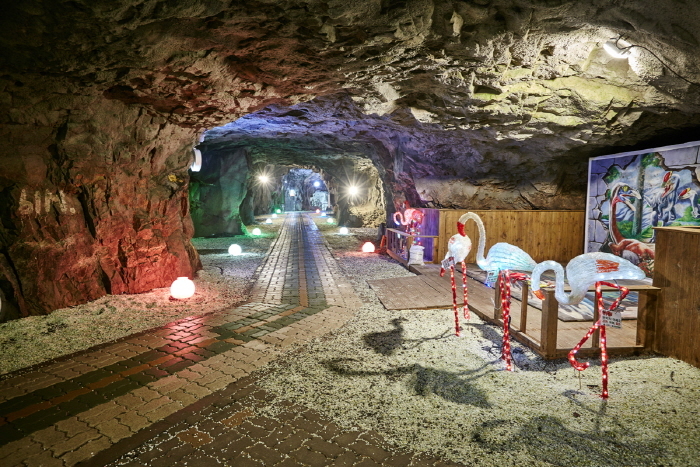 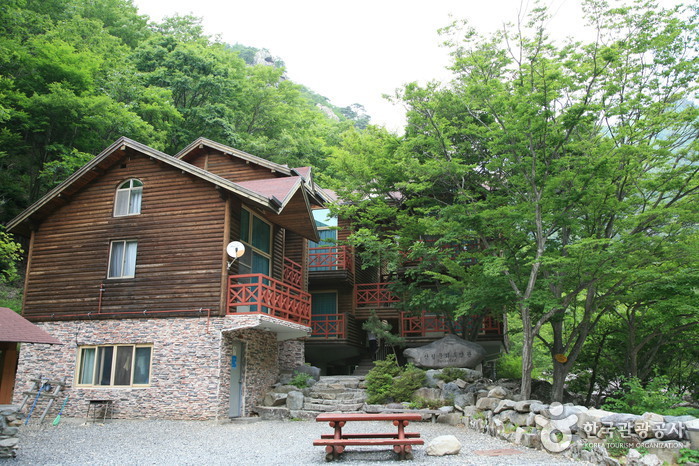 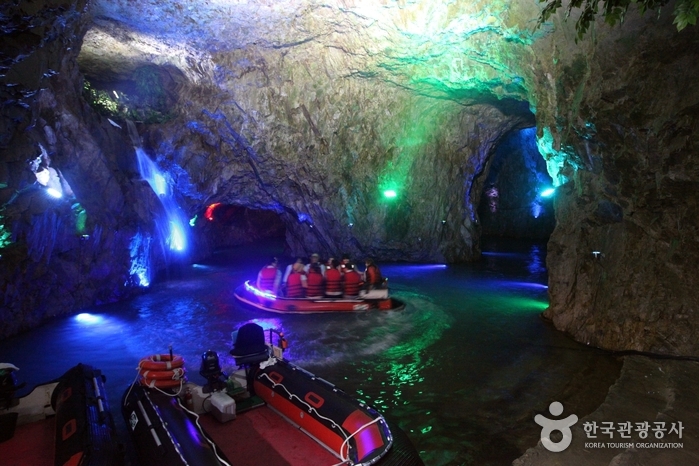 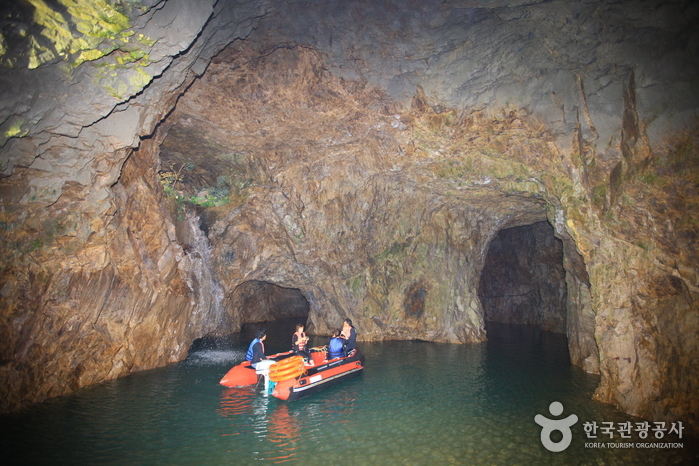 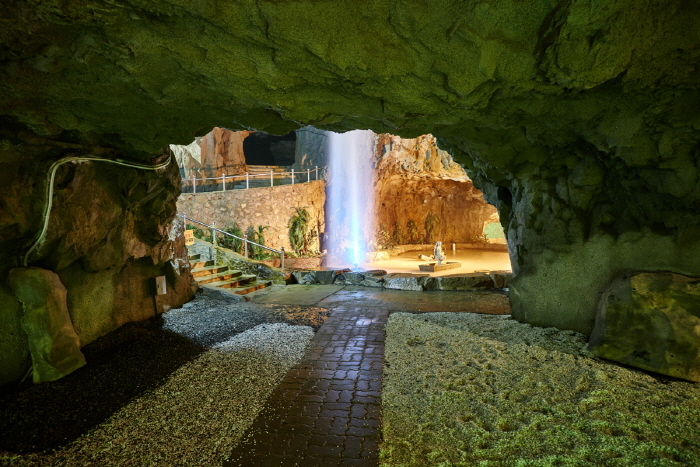 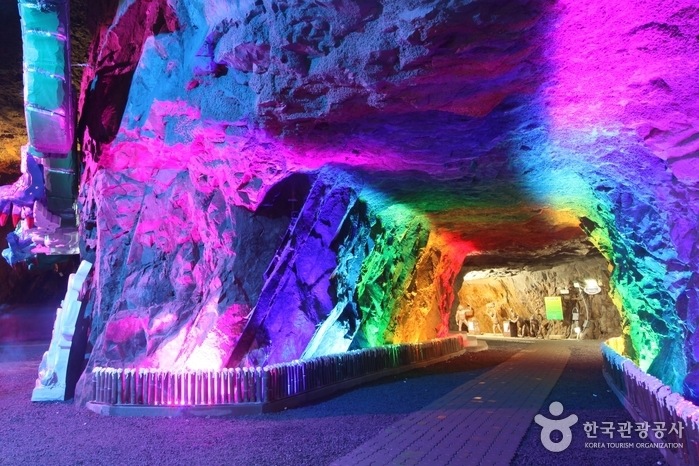 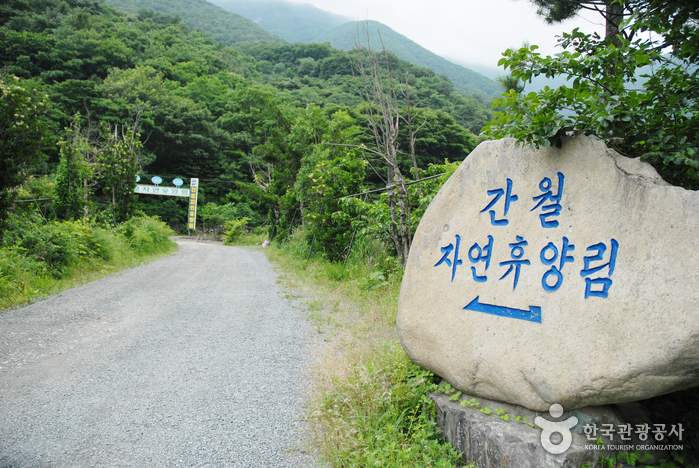 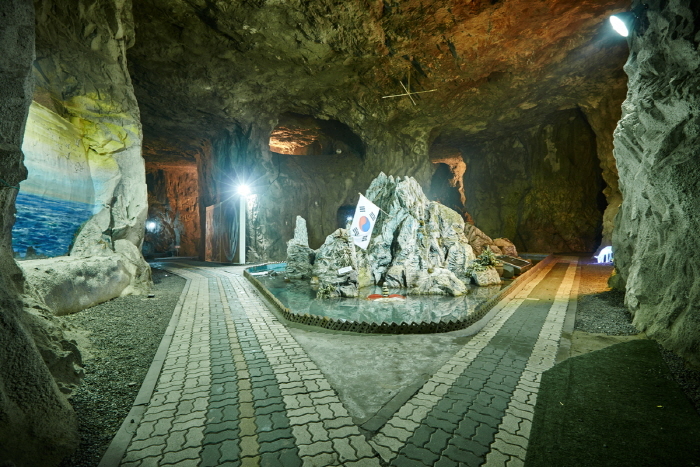 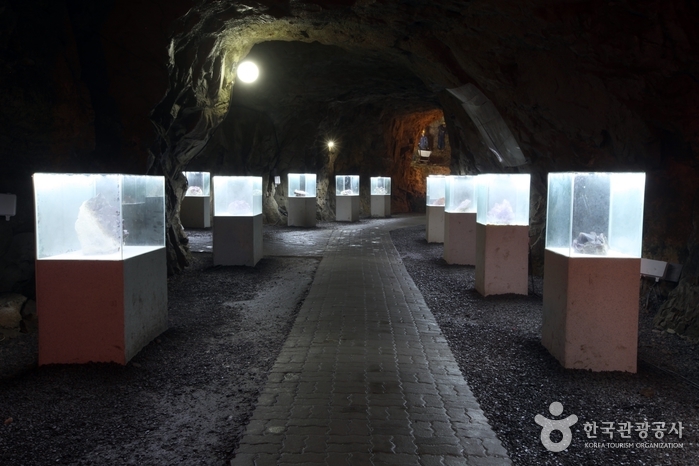 Amethyst Cavern Park is the largest man-made cave tourist attraction in Korea. 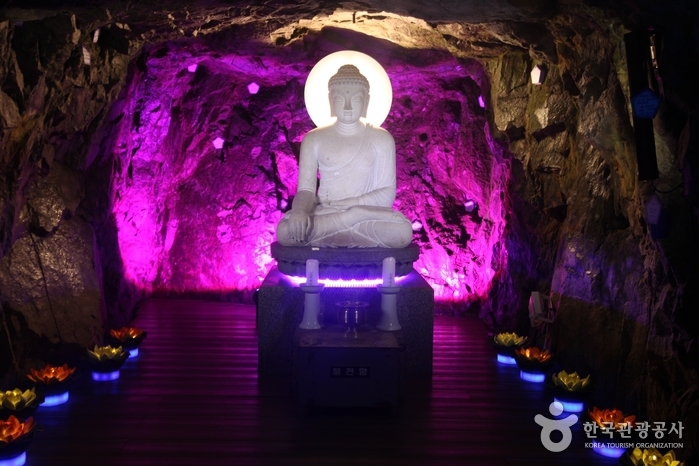 It is made inside a closed amethyst mine. 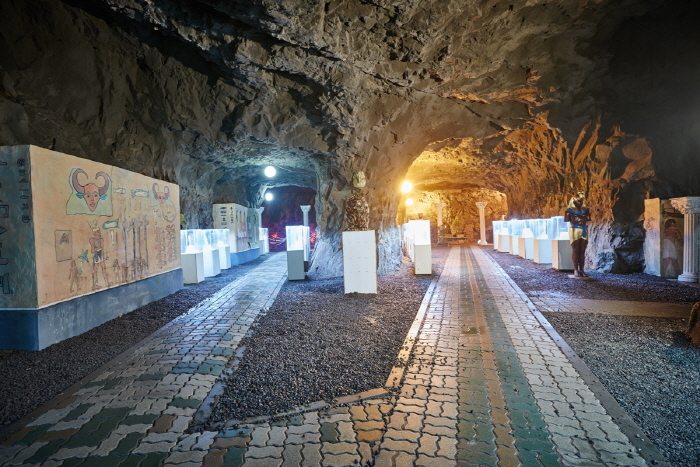 Connected like a labyrinth, the cave is 2.5 kilometers long and about 16,529 square meters wide. 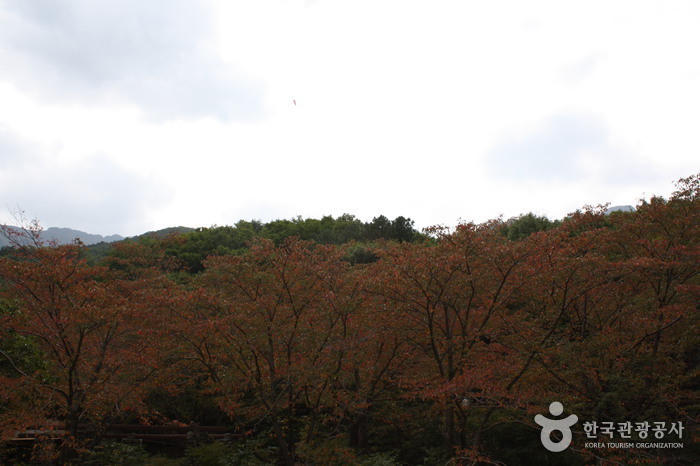 The average temperature is between 12 and 14 degrees Celsius year round. 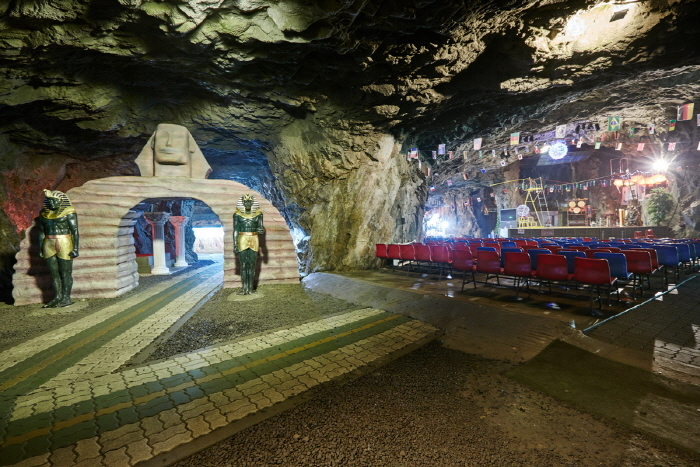 Visitors can observe amethyst stones, see exhibitions, and attend a circus performance full of thrills. 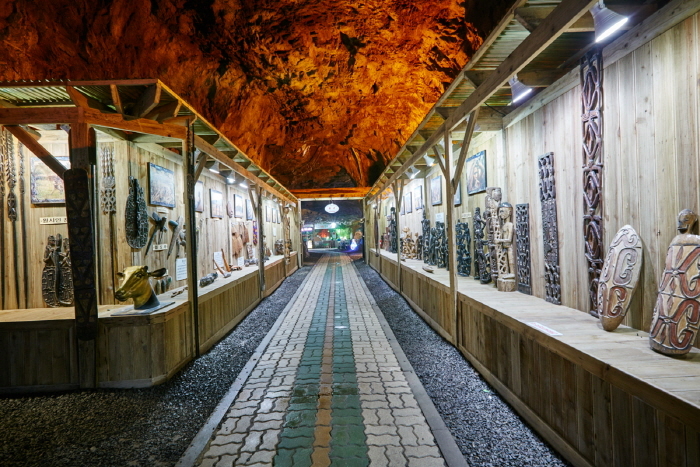 Outside the cave, visitors can enjoy a snow sleigh during winter, play facilities, ceramic workshop for children, and hands-on learning experiences with sweet potatoes, peanuts, corn, and herbs. 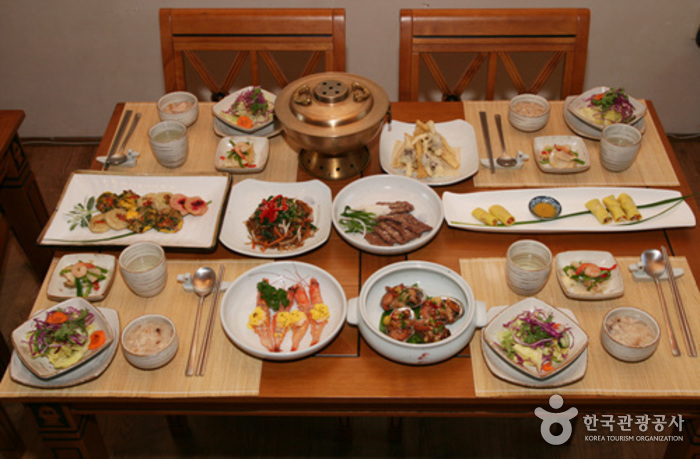 * Refer to the homepage for more information. 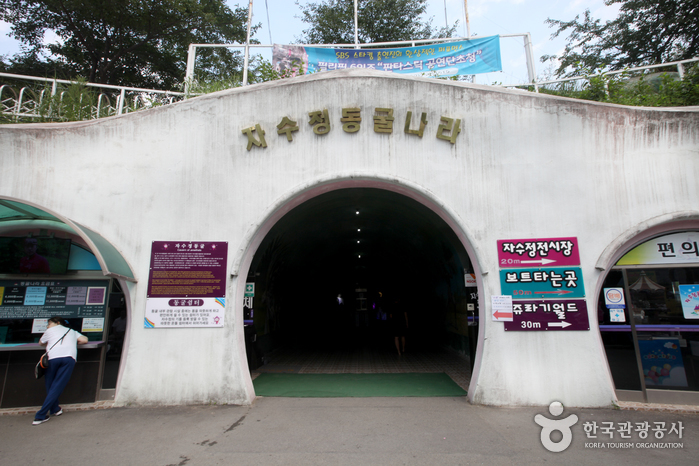 Take a bus from Seoul Nambu Terminal to Eonnyang.